For those who wish to learn the art of Thai Massage, we offer several courses for both beginners and advanced students alike, listed below. All courses are approved for Continuing Education Credit under the Florida Board of Massage Therapy. If you would like to have us come teach a workshop in your area, please contact us to make a request. 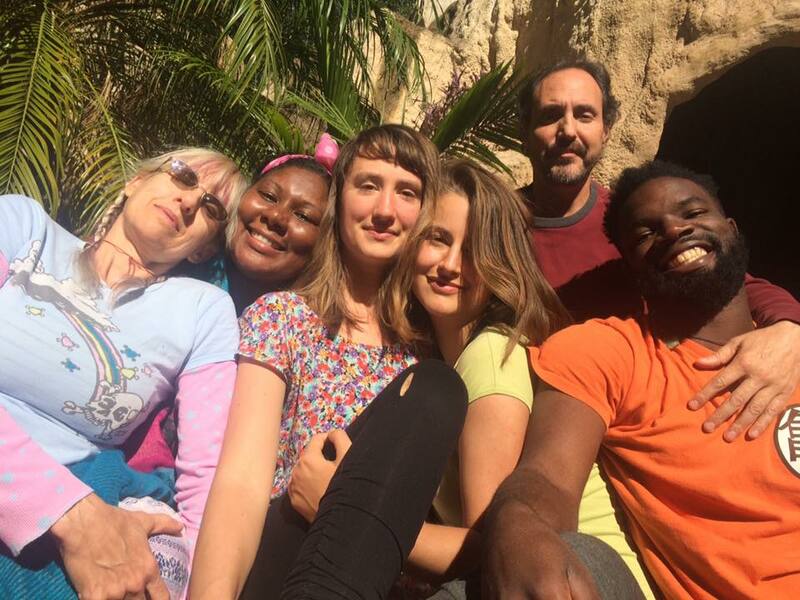 In this two-day intensive, we learn the foundations of Thai Yoga Massage, the ancient form of therapeutic bodywork that integrates elements of massage, yoga, Ayurveda, and martial arts into a beautiful dance between giver and receiver. We cover all the basics of Thai Massage, including assisted stretches, body mechanics, philosophy, and theory. By the end of the workshop, we are equipped with the tools to offer an hour-long Thai Massage session, along with the hands-on skills to enable yoga instructors and massage therapists to provide therapeutic touch and assisted stretches to their students and clients. The workshop format focuses on Thai Massage as an assisted yoga practice with manual techniques for recipients in the supine and prone positions. Anyone with an interest in providing therapeutic touch and deepening their understanding of the body and its anatomy/movement is welcome to participate. 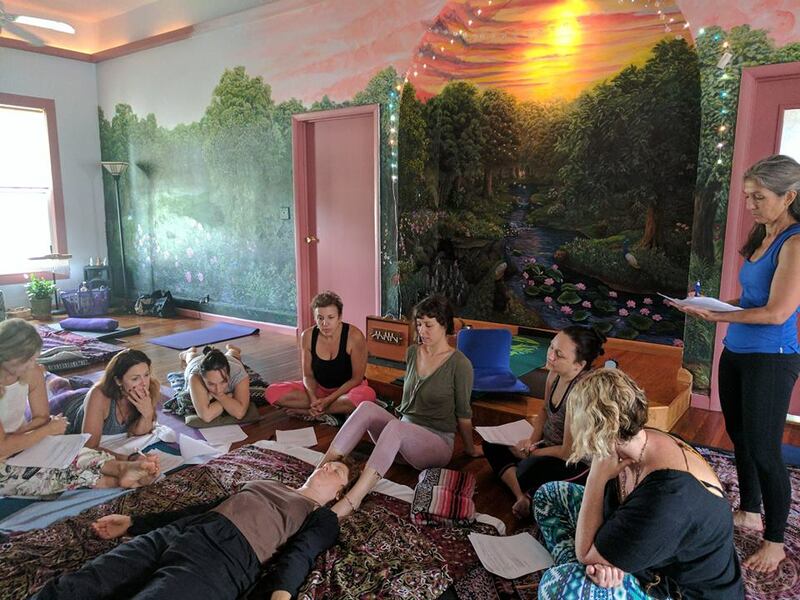 In this two-day workshop, we will build upon what we learned in the Introduction to Thai Massage course by adding in the seated sequence and more advanced assisted postures in the supine, prone and sideline positions. This course is developed for practitioners who want to deepen their practice and refine their ability to work with a wider range of client needs and body types. The techniques taught in this course are best suited for clients with heightened mobility who would benefit from deeper stretches. However, we will also teach modifications of some of these postures for clients with limited mobility. *Must have taken Introduction to Thai Massage OR have prior Thai Massage training to enroll in this course. This two-day workshop is dedicated to learning an entire sequence in just the sideline position. This sequence is ideal for elderly clients, or clients who may have difficulty lying on the mat for extended periods of time in the supine or prone positions. This is also the best sequence to be used for women who are pregnant beyond the first trimester. This course dives deeper into the "dance" of Thai Massage - how to gracefully transition between each assisted posture so that the session flows with ease and efficiency for both the practitioner and the recipient. We will be learning how to offer a dynamic and artful flow from the feet to the head while the client is in the sideline position, and will be integrating both gentle and advanced stretches for a wide range of clients. We will also go over all modification and necessary care for prenatal and elderly clients. This two-day workshop is devoted to cultivating our ability to use our feet within a Thai Massage session. The techniques taught in this course focus on gaining more control and awareness of our feet so we can comfortably use them as therapeutic Thai massage tools in place of, or in addition to, our hands. By the end of the workshop you will have the tools to give an entire session with just the feet. Through the process of bringing more awareness to our feet and channeling our energies downward, we may notice a deep sense of GROUNDING occurring within our bodies. This is by far one of the greatest benefits of this work - not only does it feel grounding and relaxing for the client, but it feels grounding for the practitioner as well. This two-day course builds upon Level 1. We will be learning more advanced foot techniques in the sideline position, and will be focusing more on the grace of the transitions and general flow of the session. After completing both Levels One and Two, you will be able to offer an entire dynamic Thai Massage session using ONLY the feet! *Must have taken Thai Massage with the Feet - Level One to enroll in this course. An exploration of Polarity Therapy through its interface with Ayurvedic Thai Massage with instructors Nina Lombardo and Douglas Loeb. Polarity Therapy, developed by Dr. Randolph Stone, is a comprehensive system of bodywork that focuses on restoring and maintaining energetic flow and balance within the body. Both Polarity Therapy and Thai Massage have their roots in the Ayurvedic teachings of India, thus share many of the same basic principles and concepts. Each session is designed to bring balance to the associated element present within the body. We will be exploring these elements using the Polarity triad relationships, while incorporating Ayurvedic marma point techniques and an understanding of the Ayurvedic doshic constitutions.